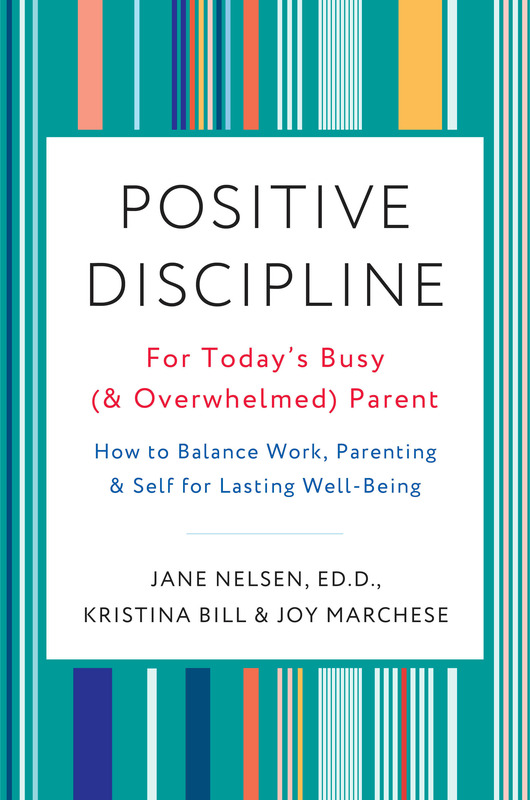 Together with Dr Jane Nelsen, founder of Positive Discipline, and Joy Marchese (Positive Discipline UK), in September 2018, I published a new book on finding balance in work, family and life. “With the increasing pressure to excel at parenting, work, and personal relationships, it’s easy to feel stressed and dissatisfied. This targeted Positive Discipline guide gives parents the tools to parent effectively without sacrificing their well-being or giving up on their life goals. Instead of creating unachievable expectations, you will instead learn to play to your strengths at work and at home. You’ll integrate your seemingly disparate areas of life and use Positive Discipline to make the most out of your time, energy and relationships. By helping you get to the bottom of the underlying causes of misbehavior, busy parents will also be able to avoid pampering and keep permissive and punitive parenting at bay. Instead of feeling fragmented and guilty, you’ll have the presence of mind to explore what works best for you and your family. We had a great time filming this promo video which shows through then power of testimonials just how impactful Positive Discipline is as well as how working parents can really benefit from applying the tools in our book. For those of you who’d like us to come onto your show, take a look this video that shows a few ideas of what we could do.